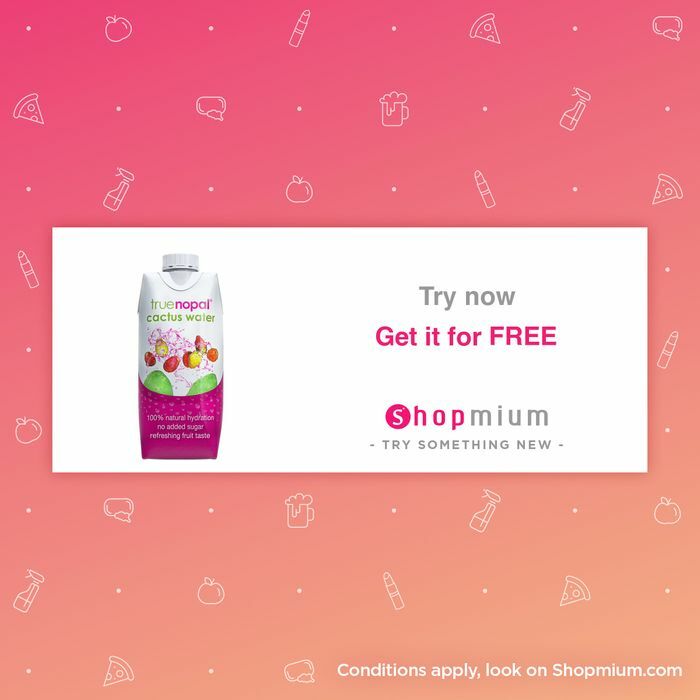 If you're shopping at Sainsbury's or Waitrose and pick up a 330ml carton of True Nopal cactus fruit water, make sure you keep your receipt safe as you can claim up to £1.69 back via Shopmium until Sat 6 Apr. Note: Check the app before you buy to ensure you've been offered the deal, and don't buy unless it's something you'd use anyway. I'd love to try this but sadly can't find it any sainsburys near me. Funnily enough found in my local. Had to ask for help to help to locate as was in the fridge, whereas when on offer at Tesco last year was in drinks aisle. Good Luck!